Many travelers dream of a luxurious holiday but believe they simply can’t afford it. In fact, there are many easy ways to extend your vacation budget, enabling you to afford more luxury than you might think. Here are some insider tips to get you started. Be flexible with your travel plans. Consider traveling off-season when your vacation budget will go further. If you enjoy skiing, consider booking a holiday trip to Canada in March. There will still be snow on the slopes but far fewer tourists. Resorts will be offering special incentives to attract your business during the off-season. Likewise, look at tropical getaways and cruise holidays during the summer months. The prices drop substantially, allowing you to upgrade your accommodations or enjoy more entertainment for the same amount of money. If you can be flexible about which days you travel, you can also save a bundle on your airfare. Check out the Flex Search on Orbitz. Enter in a date span of one month to see which days are cheapest to fly. You might have to leave on a Monday instead of the weekend, but you’ll still be able to request time off from work in advance, and you could save hundreds of dollars doing so! Auctions are a great way to extend your travel budget. Visit LuxuryLink.com for travel packages around the world at the most luxurious resorts, but at a fraction of the price. Not only will you save up to 65% off the regular price of a holiday at these top-notch resorts, they will also throw in special perks, such as spa packages and meals. Websites such as eBay also offer many different holiday steals, from airfare to accommodations around the world. You can also bid to win entire packages that include airfare at a substantial discount off the price of going to a travel agency. With auctions you’ll need to be very careful about reading all the small print. Make sure the dates you want to travel are available before you bid. A fun way to save money is to travel with several of your friends as a group. Hotels will offer a discount off multiple rooms, or you could consider sharing a house or villa. While the price of a holiday villa may seem outrageous, when you’re travelling with several of your friends the price per person is usually less than if you stayed in a hotel. Many travelers are surprised to find out they could have rented a condo for less than the price of a hotel. Check out RedWeek.com to find out what condos are available to rent in the destination you’re dreaming of. RedWeek maintains listings of condos for rent worldwide. You’ll need to check each listing to make sure the dates you want to travel are available. When you rent a condo, you’ll also save money on food costs, because each unit contains a kitchen. You’ll be able to prepare your own meals at home, saving a bundle on what you would have spent in expensive restaurants. If you’ve got your heart set on a certain hotel, sign up for their newsletter and wait for a sale. You should also sign up with your favorite airline. Many travel websites will notify you of deeply discounted travel specials, such as Travelzoo.com. You’ll be the first to know about a sale in your desired location, but you’ll need to act fast because these specials usually sell out very quickly. Heather Johnson is a writer for Honeymoon Destinations. Signing up to travelzoo is a great way to spot bargain deals, as long as you don’t have your heart set on a certain destination! 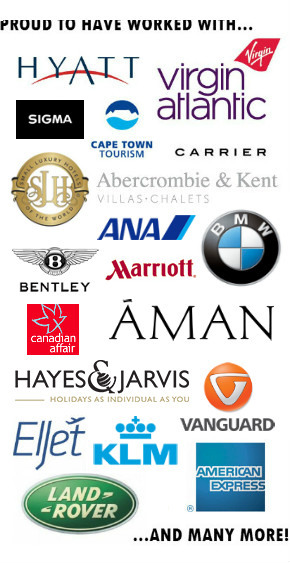 Another great way is to sign up for frequent flier programmes with major airlines, such as Air France/KLM, bmi, British Airways, Emirates etc. These allow you to earn points which you can spend on luxurious hotels and flight upgrades. You don’t even have to fly lots to earn points as many of the schemes have credit cards that award you points for every pound/dollar that you spend. I have taken advantage of credit card offers before, brilliant as long as you remember to pay it all off! There are some great tips here but unfortunatley most people have to plan holidays months in advance due to work committments etc… certainly if you are flexible with dates and there are bargains to be found. I personally wouldn’t want to have to save money by cooking on holiday, eating out is a big part of my holiday. Yes, you have to remember to pay the credit card bill! A good tip is to put all your monthly bills on the credit card, and then pay it off in full every month (you’d be doing that anyway as you already pay your bills in full). Then you’ll get a lot more points/miles for your money. I am the bargain queen for travel. I am always on the look out for some deals. Going out of season is absoloutly a top tip and too be honest I prefer the atmosphere to a place when it is less crowded. Yes we had a shock last year as had to travel in the school holidays to attend a wedding, we had always traveled out of season to avoid the crowds. I had no idea the difference in price was so high, a week in Cyprus cost us the same a as 2 weeks in Mexico the previously year! Now we have a family I guess this is the downside we have to look forward too. Seems quite unfair no wonder parents take their kids out of school! i have had some luck with the auction part of priceline for some great hotel bargains and unfortunately i wasn’t that flexible with my dates but still managed a great rate. i still also amass my frequent flyer miles and hotel loyalty points and use them for breaks as well. but i have to admit being able to avoid the school holidays certainly does help. The best way to afford luxury travel is through credit card mile programs. There are many great programs out there (Capital One, SPG AmEx, etc). Once you have enough miles to pay for your trip or at least offset a portion of it, it can make a luxury trip much more affordable! Excellent tips. It is very useful for travelling in budget and save the money. good sharing.. I want to go world tour in my life.